Vaughn and his wife Phyllis live in Columbus, Georgia and own multiple Beltone offices throughout Georgia and Alabama. Vaughn has a business degree from The University of Georgia and Masters Degree in Audiology from Auburn. He was first licensed in 1988 and maintains dual hearing instrument and audiology licenses. He is an active member of I H S, currently serving on the ILE committee, and a life member of ASHA. Vaughn and Phyllis have three sons, all who have or are attending UGA. Todd and his wife live in Southside, AL and Todd owns 7 offices throughout NE Alabama. Wright Hearing Center has been family owned and operated since 1970. Todd established ownership in 1986, before that he served in the United States Army as a Sergeant while helping his father run Wright Hearing Center. Todd became a National Board-Certified Hearing Instrument Specialist in the nineties. Todd also serves as an active Mason/Shriner. Both of Todd’s sons’, Josh and Matt, work with him daily with Wright Hearing Center. 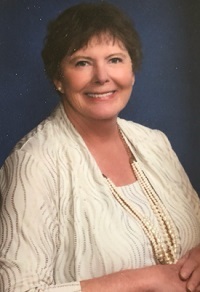 Margaret A. Hoeldtke, BC-HIS has worked for Sam’s Club Hearing Aid Center/HLT for 4 years and is the Secretary for the ASHHP for the past 2 years. In March of 2018 she passed her National Board Certification test and is licensed both in Alabama and Florida. She graduated from high school in Daytona Beach, FL where she met her husband, Gordon. She received an Associate of Science Degree in IT/Web Development, from Fortis in her hometown of Erie, PA. She enjoys church, singing and public speaking. She is active in the community with many health fairs. She loves to spend time with her son, Greg and his family which includes two beautiful grandsons Mason and Maverick plus spoiling her American Eskimo dog, Gandolf. She has a bucket list to leanr Polish one day and to take a trip to Czestochowa, her Grandparent’s hometown. Linda M. Hames earned her BBA from Faulkner University. 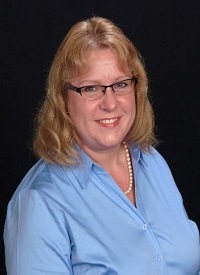 She became Board Certified in Hearing Instrument Sciences in 1991. In the past, she has served the Alabama Hearing Aid Dealers Board as President, Vice President, and Secretary. She is married to Hal Hames and they have three children, two of which have doctorate degrees, with one of those in Audiology. She is also active in the Iverness Ladies Golf Association where she is currently serving as 1st Vice President. At the age of 45, Ron Hancock made a career change to become licensed as a Hearing Aid Specialist. He joined his family’s Beltone Hearing Aid practice which currently spans four states across the Gulf Coast. In 2014, he moved back to Mississippi to open and manage his own practices in Biloxi, Gulfport, Laurel and Hattiesburg. 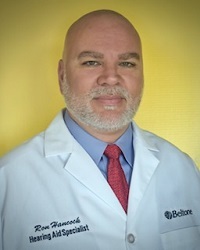 He maintains licenses in Alabama, Florida and Mississippi where he is also an active member in each states respective society of hearing care practitioners. In Mississippi, Ron has remained active in the Arts community where he lives. He serves as a volunteer for the Hattiesburg Arts Council and as Chair for Partners for the Arts at the University of Southern Mississippi. Ron and his wife Sue have been married over 43 years and have traveled the world together. Ron is a retired U.S. Army First Sergeant where he served almost 23 years. He also worked in the public school system for 13 years. As a current co-owner in Southern Hearing Associates they operate over 14 Miracle Ear Franchises throughout Alabama. 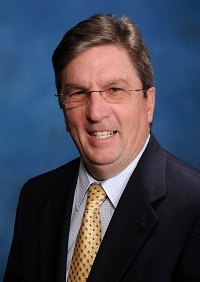 Ron has a Bachelor of Science degree in business management from Troy University. He enjoys restoring old cars and always has some project in the garage. He currently serves as the Education Chair for ASHHP and is a member of IHS.